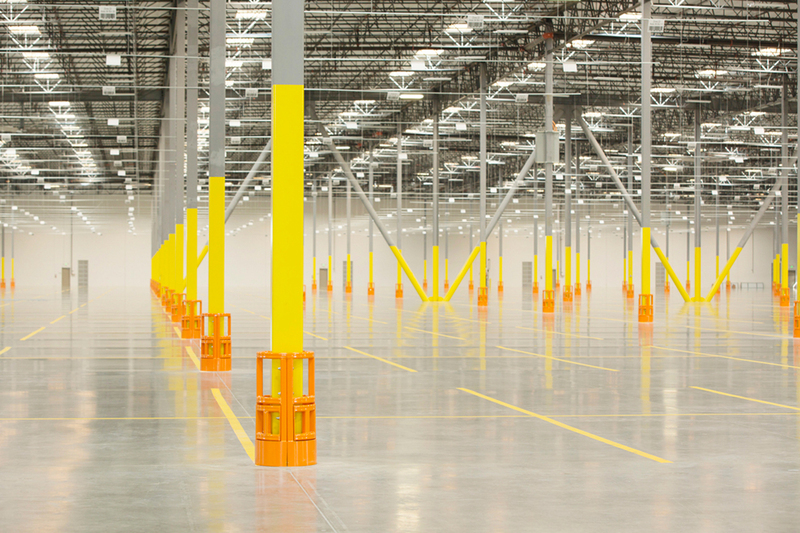 The DAMO SHIELD protects warehouse building columns. It's the only solution on the market that does not touch the column or rely on it in case of an accident. It is made of two 1/4” structural steel half-moons with a minimal footprint. 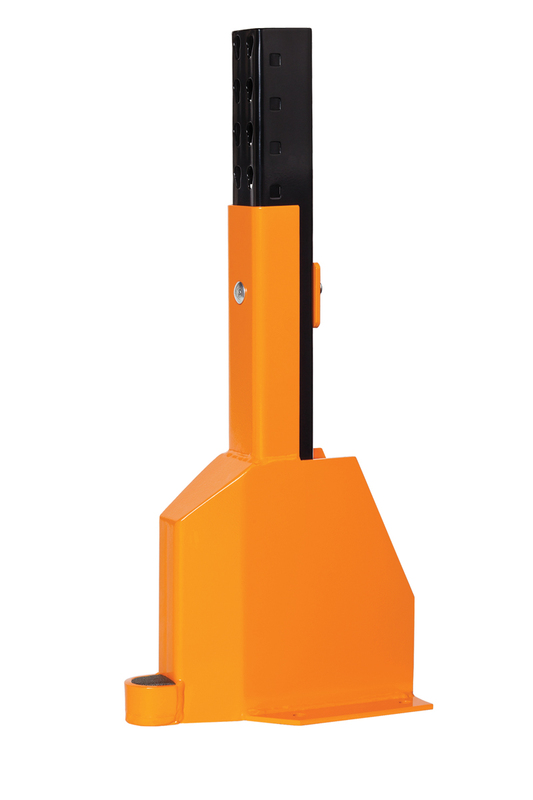 At 36" in height and anchored to the ground with eight heavy-duty anchors, it will stay put and is a great investment for warehouse protection. It can be customized in shape to protect other items like pipes or electric cables running next to the columns. 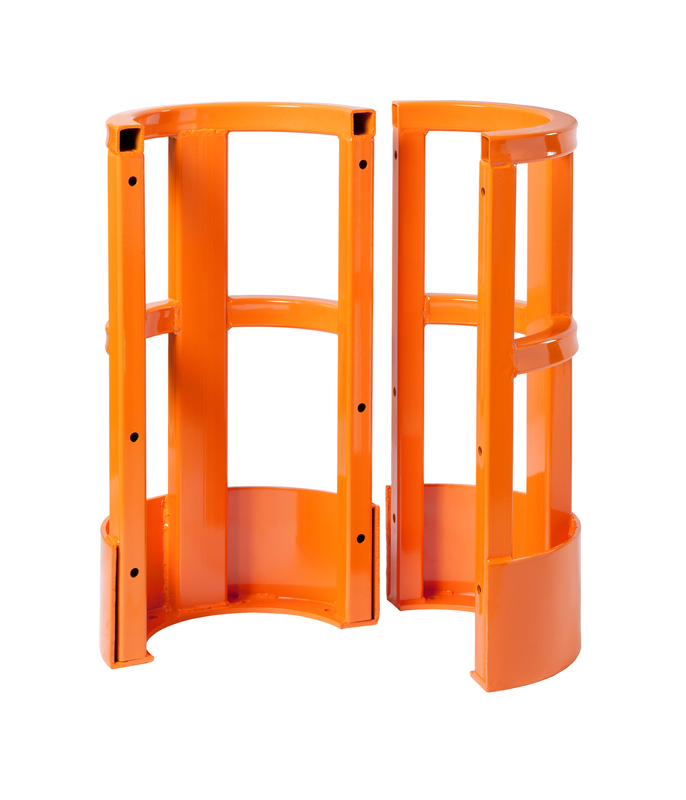 As the name implies, the fork blocker blocks forks from impacting building columns above 8". 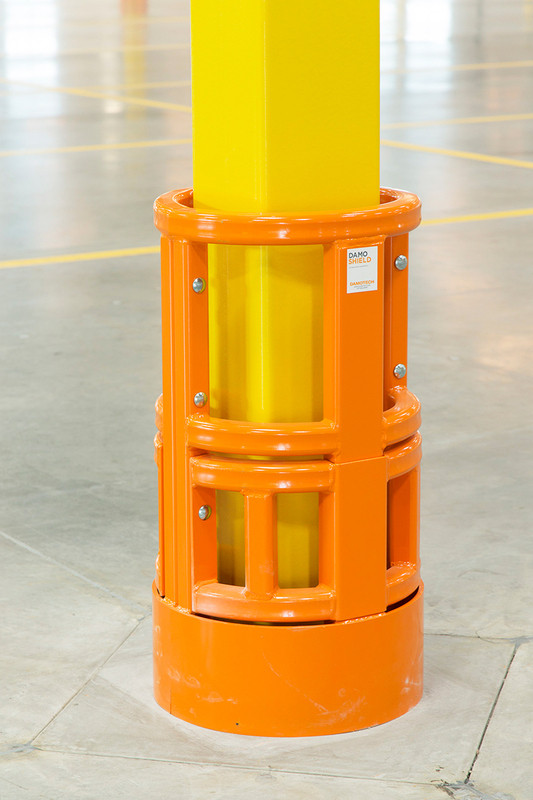 This insert was designed to prevent the lift's forks from reaching through to the column while the DAMO SHIELD protects the column from all the other parts of the lift. A safe warehouse is good for everyone; it reduces stress for managers and employee productivity is likely to increase. All of our products are tailor made to our customer's needs, to ensure a perfect fit that will be permanent and offer peace of mind. Installation of a DAMO SHIELD can be done in less than 30 minutes. Our units are robust and built to withstand the harshest of environments so you don't have to worry about damage. Our protection products help prevent damage before it happens, eliminating the need for costly replacement and contributing to the safety of your warehouse. 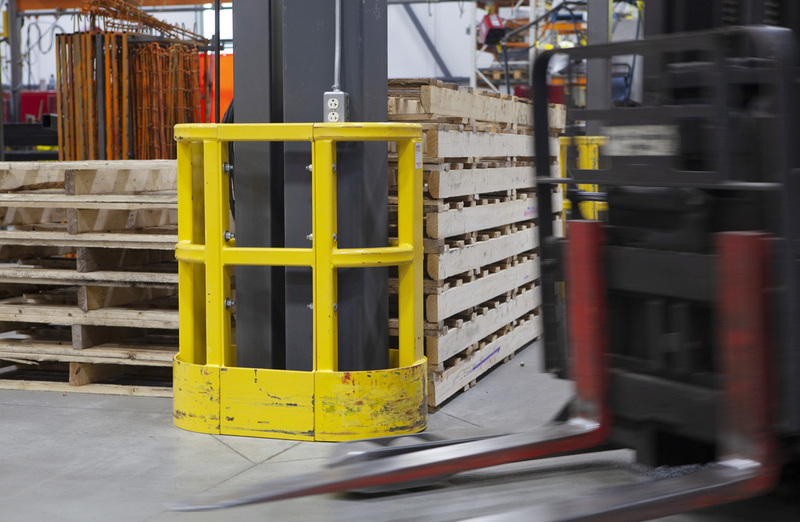 We recommend starting with areas where forklift traffic is heavy and looking at areas where damage would be costly to fix. Our protection products are permanent, robust, and come with a warranty that offers full peace of mind. Lead time for Damotech products is really short and can usually be shipped in less than two weeks. The installation process is simple, and the footprint of the DAMO SHIELD is limited. Our protection units are made to measure for your specific needs. The DAMO SHIELD is offered in a range of sizes, finishes (paint color, galvanization) and configurations. We can build the unit to fit a variety of column sizes and shapes. The DAMO SHIELD can be installed by our certified installers or your maintenance crew in under 30 minutes. 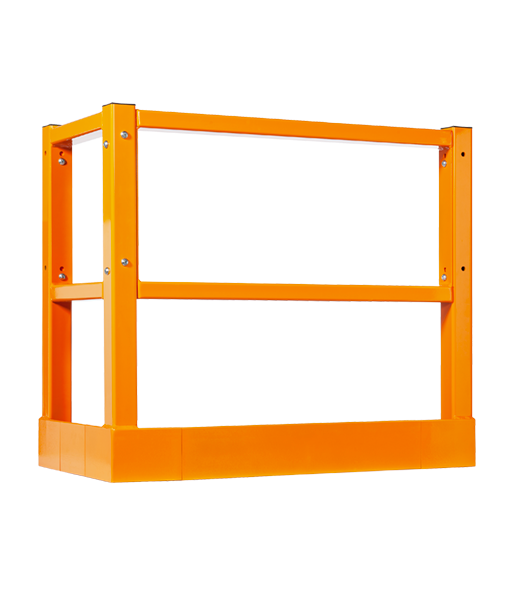 It's a simple and efficient way of protecting your building against forklift damage. At Damotech, we stand behind our products. The DAMO SHIELD comes with a 10-year manufacturer's warranty. This means we guarantee the product will be free from defects in material and workmanship. The standard height is 36" - Also offered at 48". Made of 1/4" thick structural steel for maximum resistance. They are 1/2" bolts - Grade 5. The circular DEFLEX PLATE is 8" high and is meant to protect the column at floor level. It's an integral part of the DAMO SHIELD and is included in the the standard unit. 8 high shearing capacity Hilti anchors are included in this kit. What is the total height of the DAMO SHIELD? 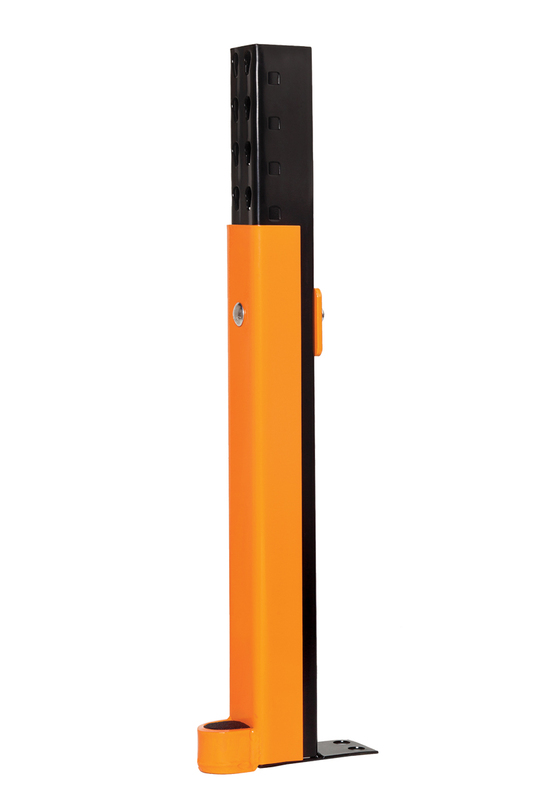 The standard height is 36"
Yes, the standard color is orange, but we can customize the color of your DAMO SHIELD. There is an additional cost to custom paint colors. What if my building columns are not round? The shape of the DAMO SHIELD can be customized in diameter and can also be made oval. What is the footprint of a standard DAMO SHIELD? 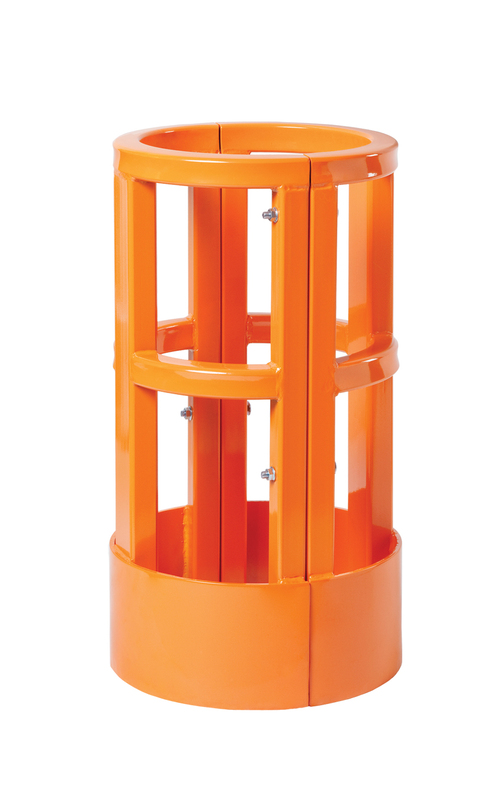 The total diameter of a standard unit is 19", making it a perfect solution for the protection of round or square shaped building columns. What else does the DAMO SHIELD come with? The DAMO SHIELD comes with a foam cover to prevent debris from accumulating inside the unit. This is ideal for warehouses with strict sanitation policies. Our protection units can usually be installed in 15 to 30 minutes. An efficient and economical way of protecting the base of your uprights. Protection where pallets or lift blades often rub-up against the racks. 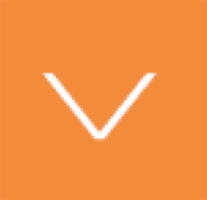 Want to know more about the DAMO SHIELD, schedule a protection assessment, or get a quote?